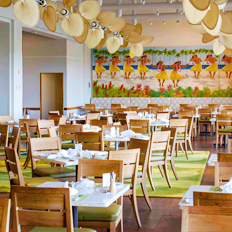 Located on the 3rd floor of Neiman Marcus, the Hale'aina Award winning Mariposa Restaurant boasts a spectacular ocean view. 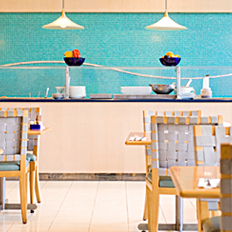 Located on the 2rd floor of Neiman Marcus, Delight in upscale contemporary cuisine served in a bright and airy atmosphere. 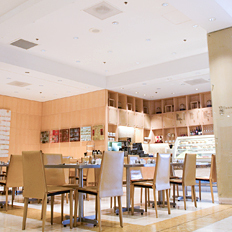 Located on the lower floor of Neiman Marcus, keep your stride during a day of shopping with a steaming cup of cappuccino and a snack. Neiman Marcus is one of the world's best-known specialty retailers offering a well-edited assortment of the world's finest apparel for men, women and children, epicure, exclusive beauty and cosmetic lines, collections for the home, accessories and specialty gifts. Reserve your items online ( kids and baby too! ) and they'll be waiting for you in store. Reserve your items (kids and baby too) and they'll be waiting for you in store. No credit card needed. Tory Burch, Chloé, Balenciaga, Burberry, Tom Ford, Stella McCartney, Marc By Marc Jacobs, Alexander McQueen. Enjoy free Wi-Fi while you shop & dine! Look for the "nmguest" network to connect. Need Assistance? See Our Sales Associates for Assistance.